"If a picture paints a thousand words, a video paints a million." says Mark Laudi, former Bureau Chief of CNBC Australia. 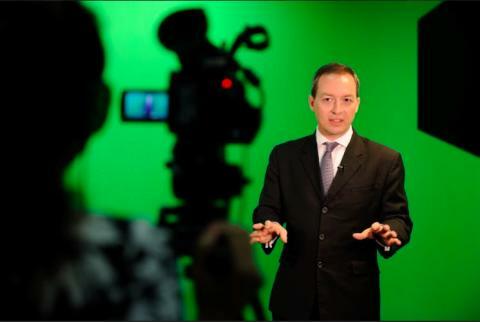 The award-winning presenter who started his media career as Australia's youngest radio current affairs show host, spent 7 years in CNBC Asia Pacific, also went on to be one of the pioneers at 938LIVE, Singapore. These days, he runs Hong Bao Media as its Managing Director, advising blue-chip multi-national companies on their video communications strategy. More than 300 hours of video content uploaded to Youtube every minute, and viewerships are rising by 50% year on year. According to Cisco, video will account for 69% of all consumer internet traffic by 2017. With this shift in viewer habits & consumption, marketers are increasinglydedicating more budgets into video. We find out more from Mark on his thoughts on video content marketing and why Hong Bao Media's partnership with Mynewsdesk will deliver more results for brands. "It is simply easier to show your product or service in action than to describe it with words or photographs. It is also more compelling to see and hear your customers and partners give a testimonial about you and your firm, than to just read about it." "This hasn't changed from traditional advertising, except now you are producing video content. 1. Start with the outcome: who is your target audience? What are you hoping they will do as a result of seeing your video? 2. What media/channels does your target audience see? Can they interact with you on these media/channels? Decide this up front, as the media/channels you choose informs how the content must be produced. 3. Understand your audience, and what sort of content is relevant, and would appeal to them?